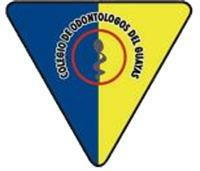 Ecuadent is excited to announce that we are partnering with the University of Maryland School of Dentistry and Colegio de Odontologos de Guayaquil to hold a Dental Congress in Guayaquil. This event is scheduled for August 30-September 1, 2017. The University of Maryland will provide education and training on a variety of topics such as oral surgery, dental implants, pediatric dentistry, cosmetic dentistry and endodontics. “This is an exciting opportunity for cross-cultural education and contact. University of Maryland School of Dentistry has partnered with us before, and I am certain this will be as rewarding as our previous collaborations,” says Program Director Bruce Richardson.